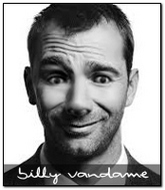 22 Apr, 2019 Monday - Billy Vandam celebrated his birthday - 44 today! 28 Feb, 2019 Thursday - Jay Adams celebrated his birthday - 24 today! 28 Feb, 2019 Thursday - Reece Skeng celebrated his birthday - 23 today!